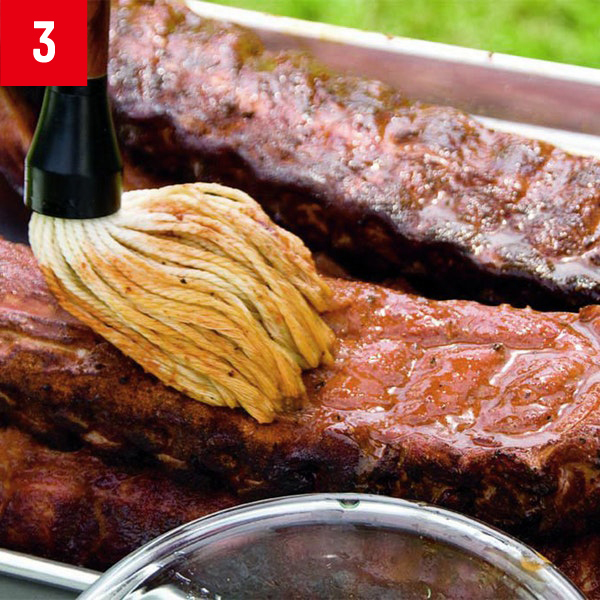 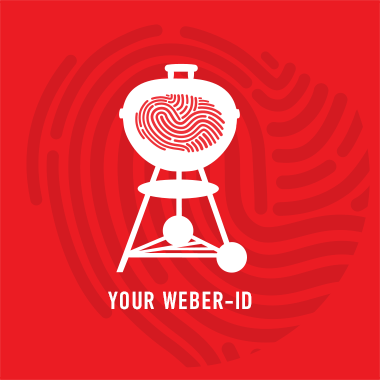 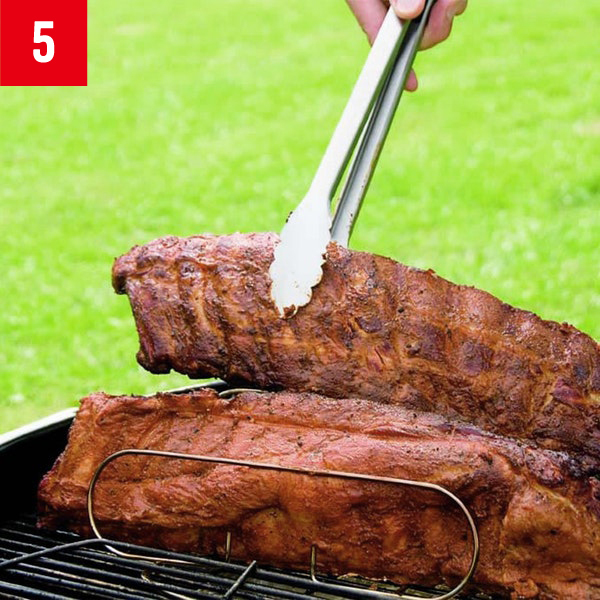 Stand the ribs in a rib rack to double the number of ribs you can cook in a limited grill space. 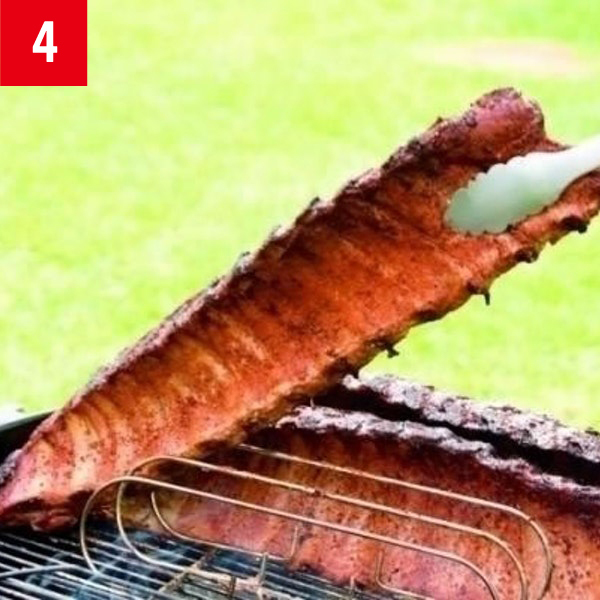 To protect the meat, begin with the bone side of the ribs facing the coals. 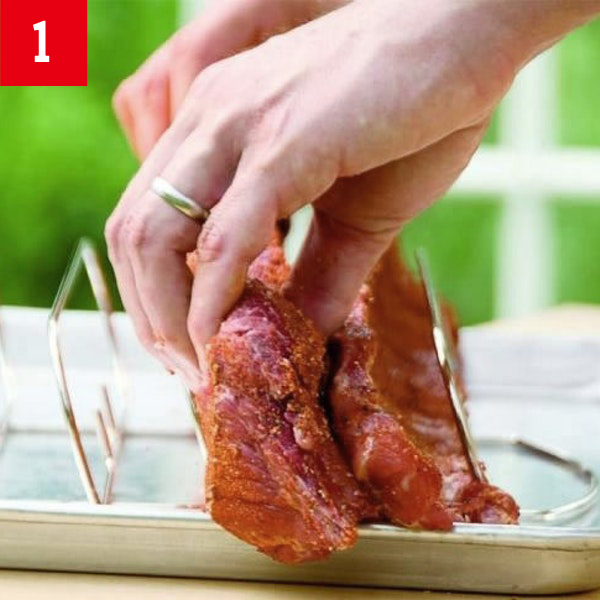 Periodically swap the positions of the ribs in the rib rack for even cooking. 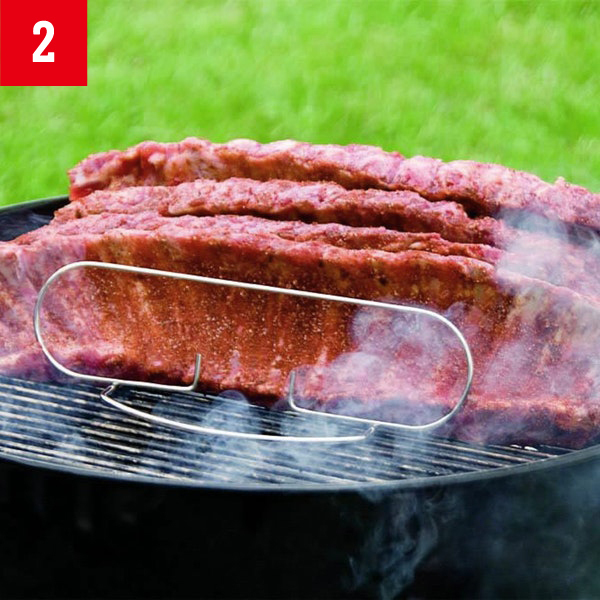 Toward the end of cooking, face the meaty sides of the ribs toward the coals to brown and crisp the surface.